Matthaus took an aim at Bayern Munich chief Uli Hoeness when asked if he would back the under-fire Niko Kovac. Mumbai: Dark clouds of uncertainty continue to hover above Niko Kovac’s head as he battles for his job at Bayern Munich. Since taking over from Jupp Heynckes in the summer, the Croat has failed to scale the same heights his predecessors have reached in the last few years; currently languishing at the 4th spot of the Bundesliga table, nine points behind leaders Borussia Dortmund after a torrid start to their campaign. Not only has his strained relationship with few of the senior players come to the fore but even Bayern Munich president Uli Hoeness has made his frustration evident on multiple instances. Hoeness held no punches after Bayern slumped to 3-3 shock draw at home late November to Fortuna Dusseldorf, labelling their defensive display as “slapstick comedy” while also calling the performances by his players as “unacceptable”. 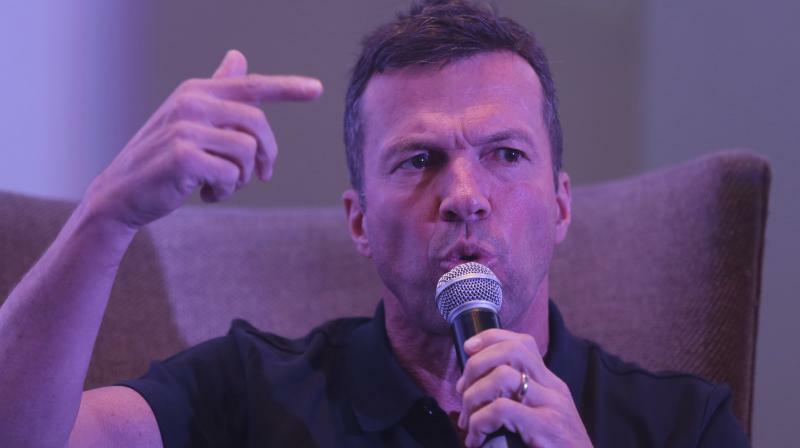 However, former club legend Lothar Matthaus opines that Kovac isn’t solely responsible for tensions brewing within the club. When questioned if he would back the under-fire Kovac with many favourable managerial options one phone call away, Matthaus took an aim at the Bayern chief. “Less talking publicly and more talking with my coach, making him stronger in the front of media and the team,” he said at the Bundesliga event in Mumbai on Wednesday. “When you decide to appoint someone as coach five months ago, then you need to back him the same way even when results aren't going your way. It is not only the problem of Niko Kovac but the club was missing some changes before the season. "They didn’t make any changes in the team when they were playing brilliantly in the Bundesliga during the last six years where they also went far in the Champions League and even won the German Cup a couple of times. But you cannot keep up the same intensity for seven, eight, nine years with the same players. They believed the players could do it again. But time changes,” the 1990 German World Cup-winning captain explained. A fan favourite at the Allianz Arena during his playing days, the former Ballon d'Or winner made his admiration known for Dortmund who have taken the Bundesliga by storm under Lucien Favre. “Look at Borussia Dortmund, I like their style. You know why Dortmund is the strongest team today? They were eating the same s*** but they were doing the right things for the past two years. They started with a young generation of players and they’re now ready to play at the top level. “Bayern didn’t make these changes and now they are paying the price for it. When you win the Bundesliga six times in a row, you lose a little bit of motivation, concentration and a bit of intensity. Many factors come into play. Bayern is witnessing the consequences of for the changes that weren’t made: to bring fresh blood, young and fast players in the squad. But this competition is good for the German championship,” he asserted.